If you follow my blog you are going to start seeing a trend here of vegetable appetizers. That is because I have vegetables coming out of my ears! 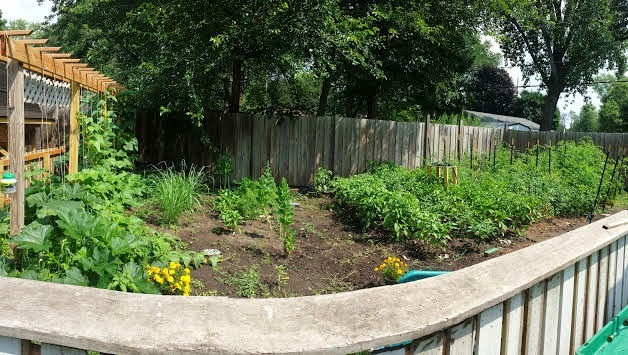 My garden is doing very well this year, I basically quadrupled the size, I'm going to be a very busy girl the rest of the summer. I am going to be having family over for Sunday night dinner and I wanted to make a couple things with items I had in my garden. The first would be an appetizer I have made before, Stuffed Banana Peppers, but I got smart and instead of slicing them in half like my recipe calls for I simply cut the tip off the top of the pepper, scooped out the seeds and cut the pepper length wise and stuffing it with the cream cheese filler, super simple! Also these Stuffed Banana Peppers are the most Pinned item I have out there. 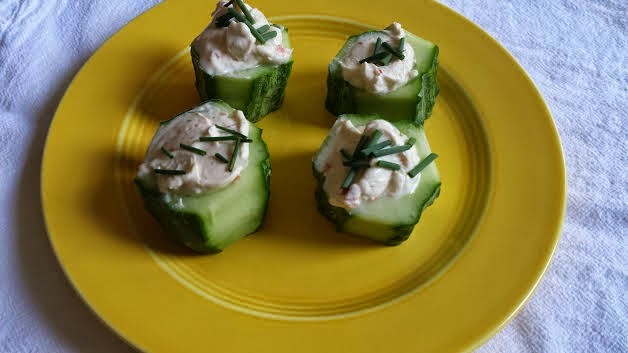 So now on to the Cucumber Cups. Another super simple bite you can make, very refreshing. 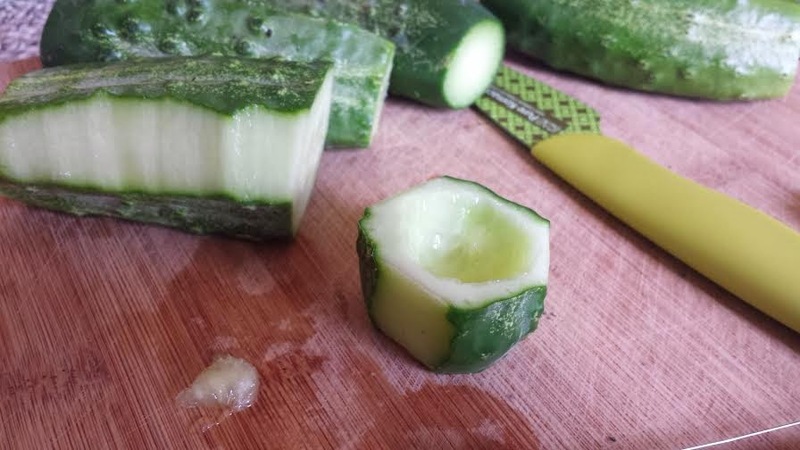 If you have a melon baller (I do not, I used a small spoon) scoop out some of the center of your cucumber. Fill that center with the softened cream cheese and sprinkle with chives. 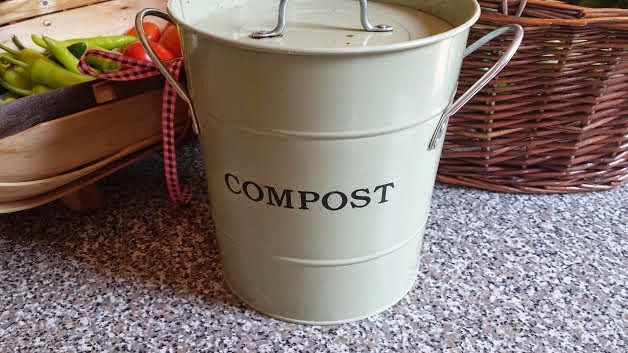 A little tip, if you do garden you should really try composting, it's wonderful for your garden and keeps down your garbage! I have a little can on my island that I fill with compostable material, that I empty daily, bringing it out to our larger spinning composter. Once that is hot enough we spread it onto the garden floor helps the garden grow and keeps the weeds down. I must be helping the Earth right??? ?